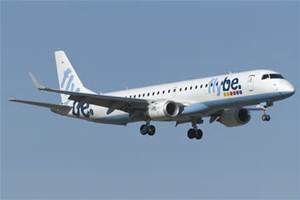 The announcement that a VAA led consortium is to buy Flybe is welcome news as it should ensure the continued employment of the pilots working for Flybe who will now become part of a bigger and stronger business. The benefits to VAA in being able to link into the Flybe regional network are obvious and should deliver growth opportunities for both in our highly competitive aviation industry. All that said, we do not yet know the details of any restructuring that will take place and the possible impacts that will have on the pilot workforce. As such the IPA will monitor the situation with keen interest to ensure that any changes deliver a fair and proportionate business response that protects jobs, incomes and opportunities for our members going forward. Over the years we have had a constructive relationship with Flybe and hope that this will continue so as to help ensure the success of the business. We wish everyone involved in this new venture success. If any members have questions please call us.